Dr. Rogers grew up in Charleston, SC. He attended Clemson University and received a BS in Zoology. He then attended the Medical University of South Carolina in Charleston where he received a DMD degree. His love for the Clemson Tigers, Lakes Keowee and Hartwell brought him back to the upstate, and he has been practicing here for over 30 years. 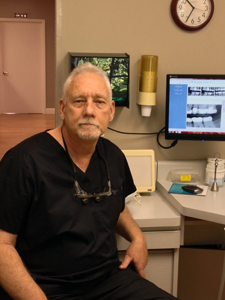 Dr. Rogers is a member of the American Dental Association, South Carolina Dental Association, Piedmont District Dental Society and the Tri County Dental Society. He has served as a member of the SC Peer Review Board both at the Piedmont and State of SC levels. Dr. Rogers is a member of the Clemson Alumni Association, IPTAY, and a Life member of the MUSC Alumni Association.